So, what have I been up to over this past week? Well, as the title already gave away… background art! Right now, I’m busy working on the next BG for GENBA no Kizuna, which is going to give us a look at another part of the Kaseki Residence. Namely, one of the two exhibition rooms! As such, there is some interesting stuff to look at, from fossils to life-sized dinosaurs! Patrons can already get an early look at a number of WIP-previews, the latest one just posted today! Just as promised in our previous blog post, I’ve used this past week to finish my part on GENBA no Kizuna‘s first CG. What exactly does that mean? Well, outside of adding and fixing some details, I took care of drawing all the facial variations. If you’ve played SHINRAI, you can imagine this CG to be similar to the one used during the car ride. It will be used over a number of text boxes and feature various expressions for Keiichi. Five in total, to be precise. Patrons can actually get an updated look at the CG over here. I’m still pretty satisfied with the progress I’ve made in regards to GENBA no Kizuna, though, so let’s take a look at it, shall we? For the most part, I’ve been focusing on finally fixing up the sprites for Himatsu and Terano, as well as his big birdie Alexis. All their sprite variations are finally done and ready for proper coloring and shading by Natsu! 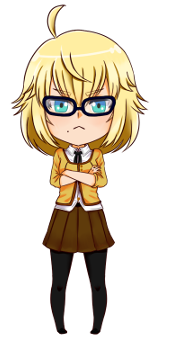 Since she’s busy working on her NaNoRenO project Helica Ascent, however, it’ll be a little while longer before I can show you the finished sprites. Today’s update is going to be on the shorter side again, so let’s jump right into what’s new this week! Patrons can download a hi-res version, as well as just Shinketsu without any background, over here. Also, don’t forget: if you’re a patron, you can take part in our next poll and have a say in which character will be featured in next month’s illustration! 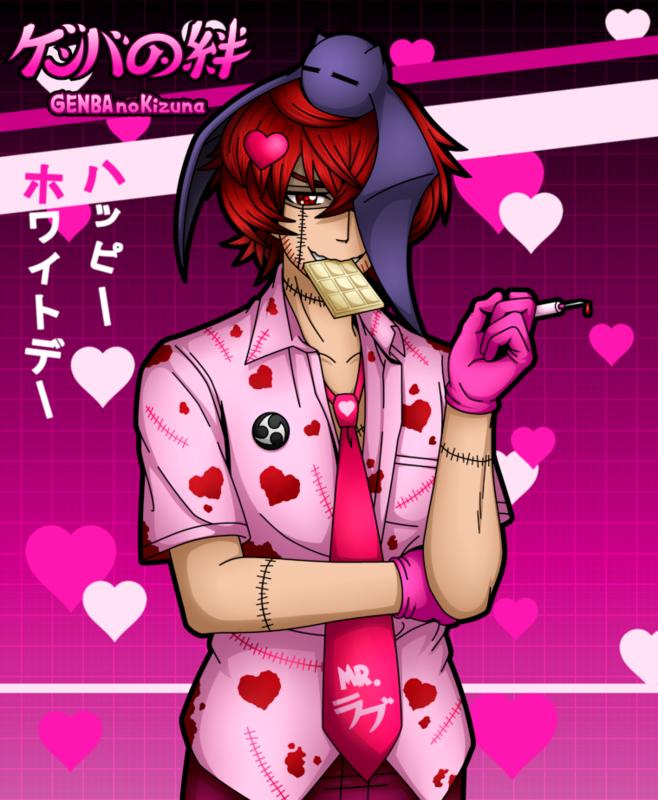 As always, this piece has also been added to our gallery, so for even more SHINRAI– and GENBA-related artwork by us and other very talented artists, be sure to check it out! And with all that said and done, once again: Happy White Day, everyone! Alright, let’s start today’s blog post with a little social media update: you might have already noticed, but at the top of this website, a little camera icon has now joined the row of square-shaped quick links! That’s right, we have finally created an Instagram account for Gosatsu! As of right now, it’s pretty barren, but content will be added very soon, especially once we get closer to the release of our extended demo. So, if Instagram is your social media outlet of choice, please follow us over there to keep up-to-date with all our future development progresses and updates! Alright, and here she is! The last of the four suspects in GENBA no Kizuna‘s murder case! Once again, if you’d like to learn a little about her name and what kinda thoughts went into her design, you can check out this post over on Patreon. It’s publicly viewable, so you don’t even need to pledge in order to check it out! 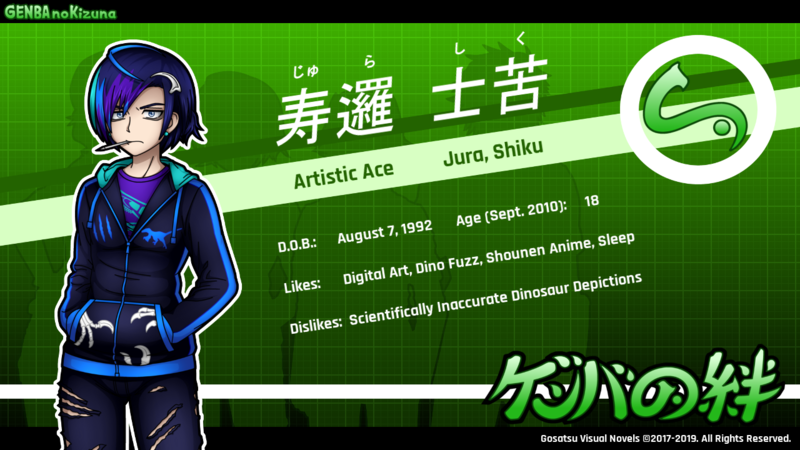 There is also this blog post containing a tiny bit of background info about her. 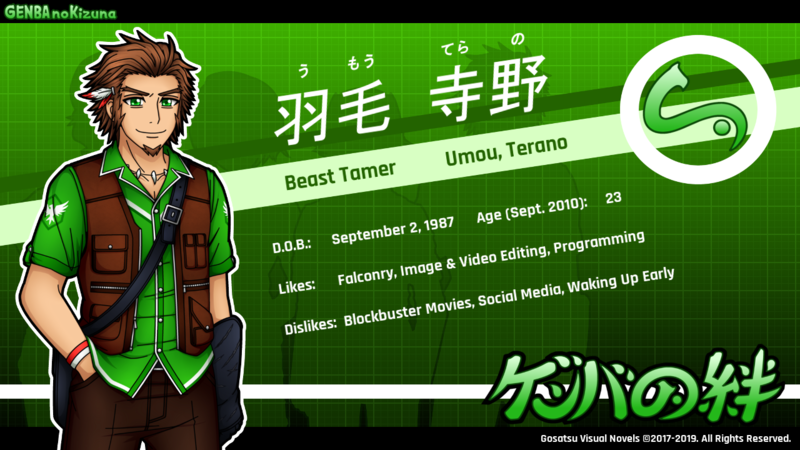 And if you’ve missed any of the others, you can check out their profiles pages here: Amber, Terano, Ryuunosuke. So, after Ryuunosuke and Amber, it’s time to have a look at the third suspect in GENBA no Kizuna‘s murder case! 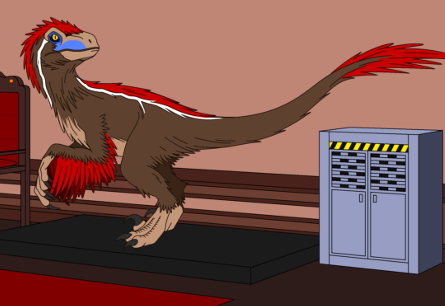 Once again, if you want to learn at least a little bit more about him, you can check out this posting on Patreon, which contains some information about the meaning behind his name and how his design came to be. Don’t worry! Even if you’re not pledging, you can still take a look as it’s publicly viewable! There is also this posting from last year, however, where you can read a very short description of all the suspects! 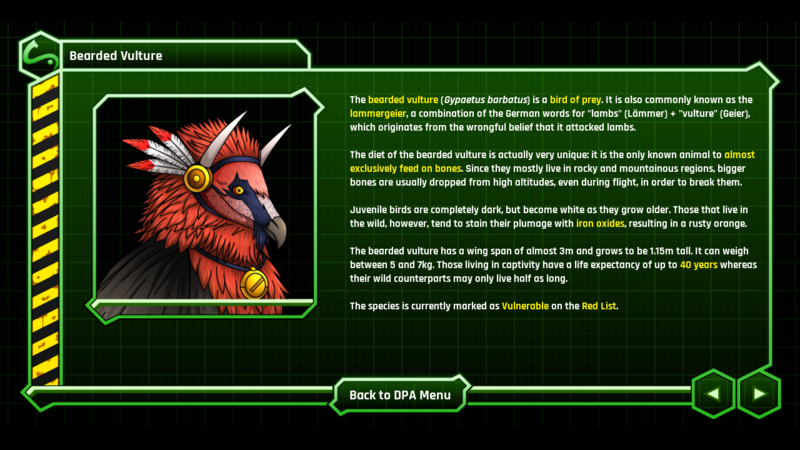 Last week, you could get a look at Ryuunosuke Hazama, the leader of the “Raptor Pack”. 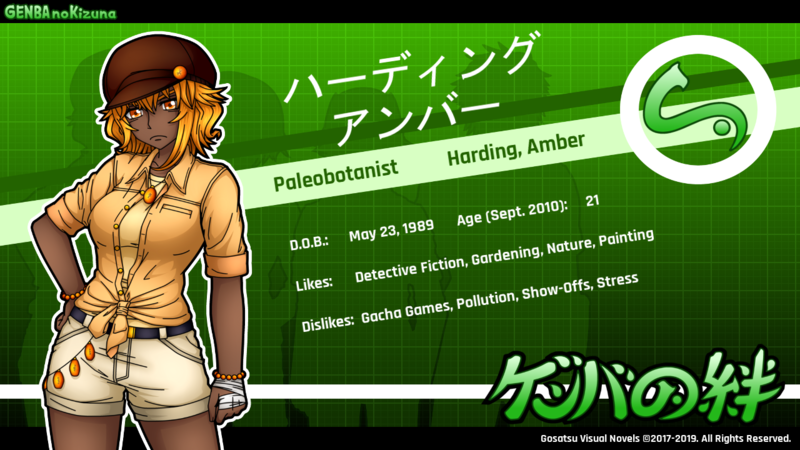 This time, I present to you another one of the four suspects in GENBA no Kizuna‘s murder case: the prehistoric plant expert Amber Harding! If you want to learn a little bit more about her (like the ideas behind her name and design), you can click here to check out a publicly available posting on Patreon, or here for a blog post from last year, in which she was first unveiled as the Warrior Princess Mayana!